If you've been following my blog, you know that the recipes I make are uncomplicated to say the least. I don't believe in a recipe with a long list of ingredients, complicated techniques and a long prep time. I like simple food that highlights a few good ingredients and satisfies my taste buds. Last week I picked up a bag of radishes on a whim. Sometimes I do that. Other times I buy red patent leather flat shoes on a whim...but that's another story. Back to radishes. They are available year round, inexpensive, bright and pretty and have a wonderful crunch. Have you tried them? If not, why not? Are you stuck when deciding what to do with them? Well, then you are in luck. 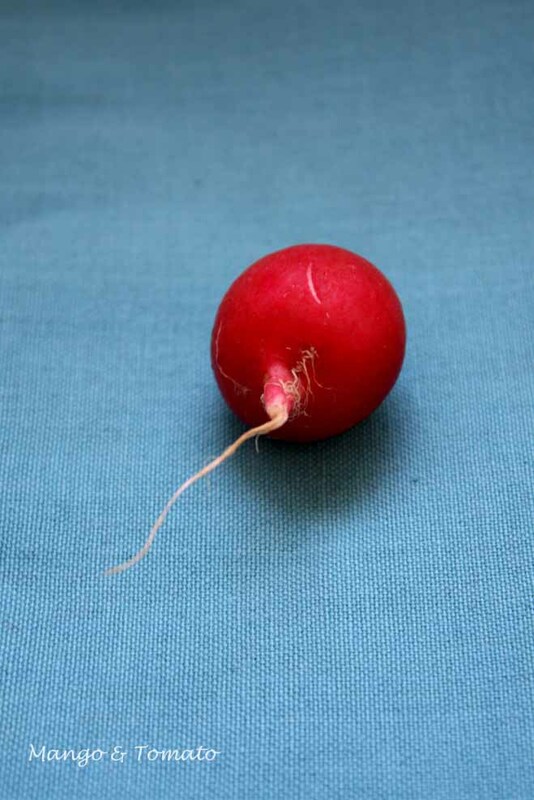 I'm going to share with your 3 easy ideas for "cooking" with radishes. The first "recipe" is one of my favorites and comes from growing up in Moscow. 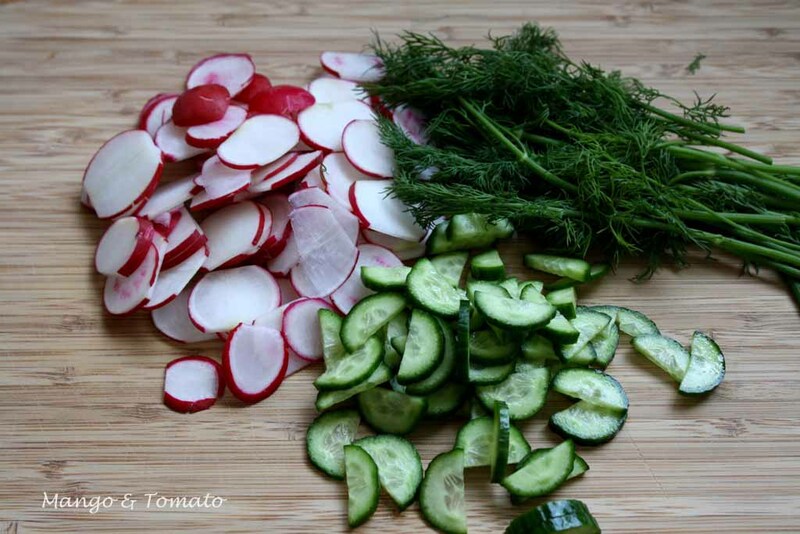 My parents would make this salad often: it has only four main ingredients, is healthy, pretty and can be done in minutes: Radish & Cucumber Salad with Dill and Sour Cream. All you had to do is slice radishes and cucumbers (the thinner the beter), chop dill and combine everything with sour cream. Season with salt and pepper and you are done! Variations: You can add scallions to this salad, a bit of lemon juice or vinegar or use olive oil instead of sour cream. It's fresh, crunchy, healthy and reminds me of spring time! All you have to do for these Radishes Browned in Butter is chop your radishes (I chopped mine into 6 pieces), then saute them in some salted butter on low heat for 10 minutes. At that point the radishes will become soft. That's when you want to turn the heat to medium high and brown the radishes for five minutes. Here are the results: aren't they pretty? 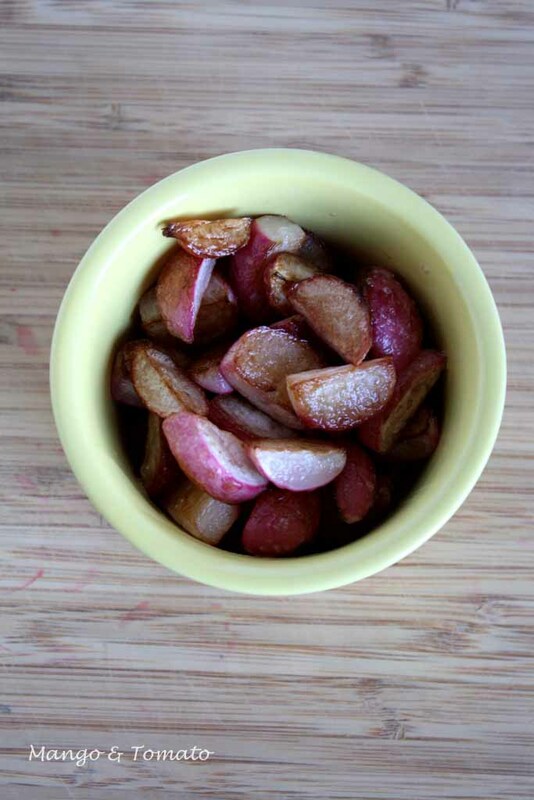 Seriously, forget carrots, and try these browned radishes as your side dish for your next dinner. They are tender on the inside and crispy on the edges. Make sure to add just a bit of salt when you take them out of the pan to heighten the flavor. So now you've made a salad with radishes and a side dish. How about a snack? This snack will take a bit of time to make, but most of the time it will be sitting in the refrigerator, so your "active" time is actually very short! This one is from my archives: pickled radishes. 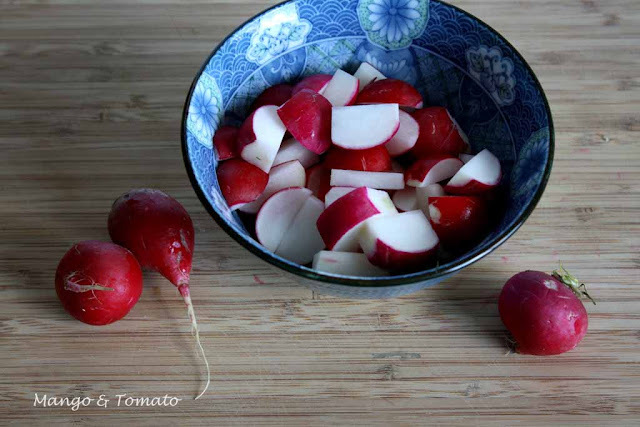 What's your favorite way of eating radishes? Please share! Can't say they are one of my favourite vegetables,so they are usually delegated a secondary role.I use them more as a garnish in salad. So clever! I never thought to cook radishes. I usually just eat them on a salad. I may try this very soon. 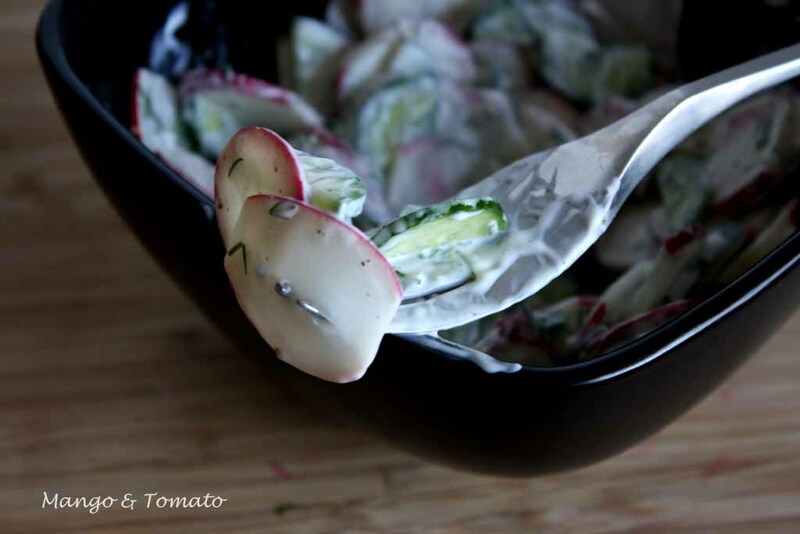 The cucumber radish salad is a winner. It's so light, and the dill is so nice with cucumbers. Never used it with radishes before, so that'd be fun to try. I'm a recent radish convert. Love them pickled, sliced in a salad or raw and dunked in hummus. I like your Russian salad. P.S. your photos are beautiful. Please dont hate me if I say I hate radishes! Never liked them. Maybe I should try them again..they say taste buds change every 7 years! Your photos are gorgeous! I love the salad with sour cream of course, and very intrigued by the sauteed radishes, certainly must try that! I don't think I've ever had cooked radishes of any sort - I'm really curious about the roasted radishes. I'll have to try it! My dad used to grow icicle radishes. These are pure white and carrot shaped (but a lot smaller). The smallest of these were really hot and yummy. My sister and I would pull them up and eat them straight from the ground (after washing the dirt from them). 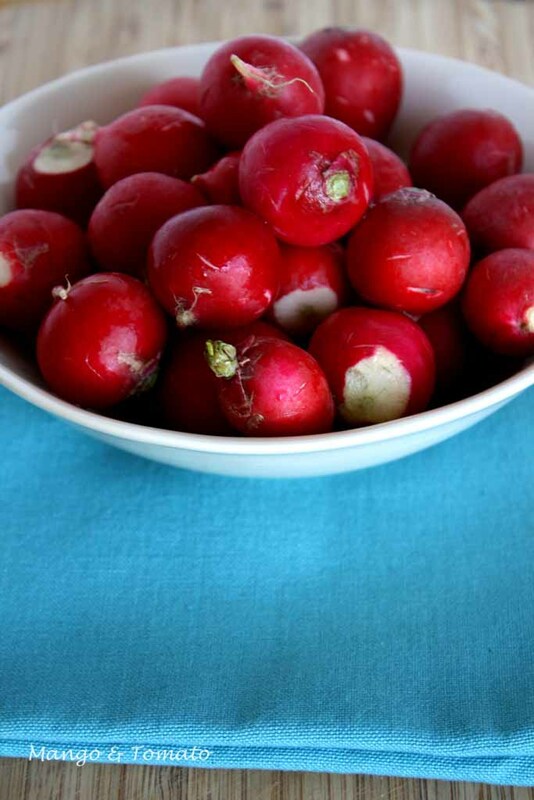 I love radishes, but I have always eaten them cold. 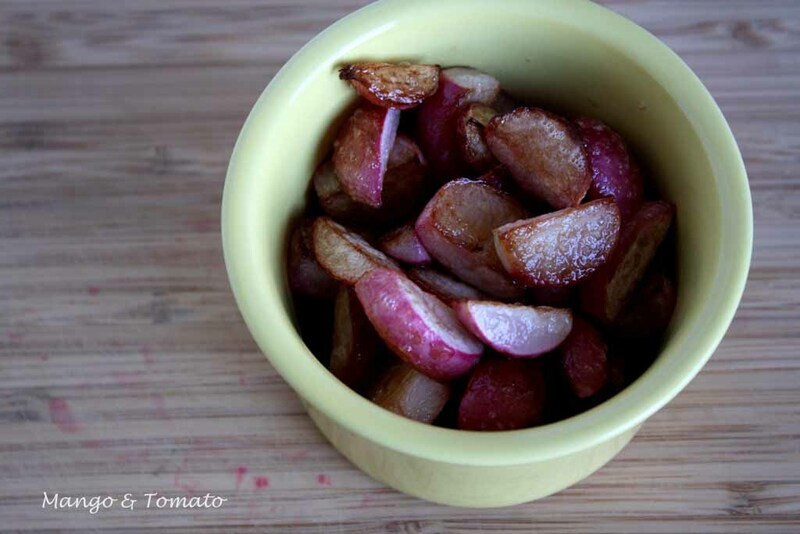 I will have to try your radishes in browned butter, that sounds like a nice way to eat them. Thanks again for stopping by my site! I like pickled radishes the best. Though, I like them when they are julienne-d or sliced very thin. I also prefer the daikon radish for some reason, how does the taste differ? There are a lot of people who do not like radishes but I actually love them. Whenever I buy a bunch of them I end up eating them all as they are; perfect little snack but yes, they work wonders in most salads too. I have never prepared them any other way though so thanks for the tips! that dill salad is TOTALLY inspired! what a great idea! 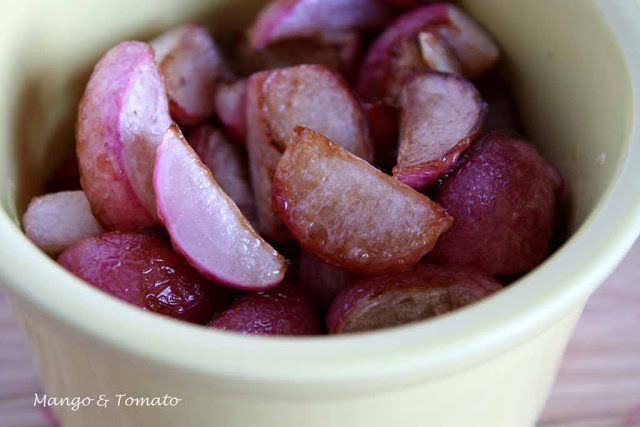 i can only count 2 ways to cook radishes in this post! 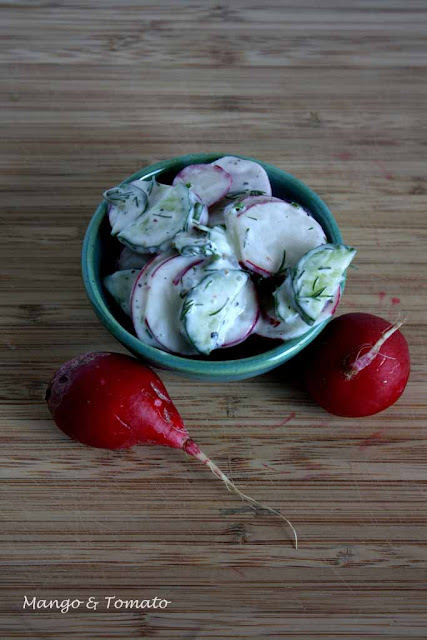 You must have not read all the way through: 1) radishes sour cream salad; sauteed, and then there is a link to pickled radishes.